5 days before the start of the World Chess Olympiad in Khanty Mansiysk, international mainstream media has launched multiple reports on the most important national teams event of the year. Guided by hope for medals and inspired by the strong participation, teams are preparing for the 2010 Olympiad all over the world. 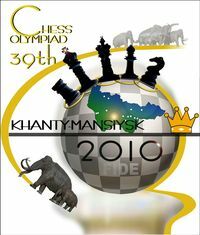 A total of 1380 player will participate in the two sections for the medals of the top team event in chess. The statistics are impressive – 772 titled players will be present, out of them 247 GMs, 63 WGMs, 160 IMs, 87 WIMs, 81 FMs, and 80 WFMs. And all this accompanied by on the spot commentary by Blue Gene super computer, Stockfish analysis at Chessdom Chessbomb live games platform, live commentary by IM Ipatov, GM Bauer, IM Perunovic, and invited guests at Chessdom.com. One of the biggest distances will be traveled by the team of Cuba. They were sent by the Vice President of the National Sports Institute, who designated GM Dominguez to carry the flag of Cuba. The men team of Cuba consists of GM Dominguez, GM Bruzon, GM Quesada, GM Corrales, and GM Hernandez, and is 20th seeded at the Olympiad. The women team is 17th seeded and consists of WGM Arribas, WGM Pina, WGM Marrero, WIM Linares, and WIM Ordaz. Indian mass media is worried about the absence of their top player the World Champion Viswanathan Anand for the Chess Olympiad. Times of India tried several times to get in touch with Anand for comment, but without success. The women team will also miss the top player of the country – GM Koneru Humpy. Sundar commented on the matter, “Her employers PSPB had written to us about her decision.” However, it is well known that Humpy and Sundar had exchanged letters of attrition in the media last September and that can be the basis of the conflict. 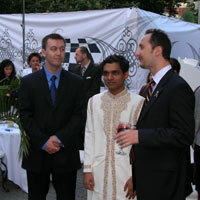 The last Olympiad for Anand was in 2006 in Turin. Before that he played Calvia, which happens to be the first of Koneru Humpy, in 2004 in Mallorca, where India enjoyed their best finish ever. The 2010 Olympiad men team of India consists of GM Sasikiran, GM Harikrishna, GM Ganguly, GM Gopal, and IM Adhiban, and is 17th seeded. The women team of India is 8th seeded and consists of IM Harika Dronavalli, IM Tania Sachdev, WGM Karavade Eesha, WGM Meenakshi Subbaraman, and GM Mohota Nisha. Philippines will travel to the Chess Olympiad without GM Antonio, after the scandle which rocked the Philippine chess last week. The opinions in the country are divided. 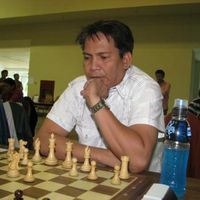 Des Catolos from Chessheroes, one of the most respected chess bloggers of the country, comments, “With or without GM Joey Antonio in the line up, the Philippine chess team for the 2010 Chess Olympiad in Khanty-Mansiysk, Russia is ready for the challenge. As everybody knows by now, GM Antonio was dropped from the team for some disciplinary actions after committing some bad decisions of not playing in two major FIDE sanction tournament in Manila as part of the team’s preparation for the Olympiad. It’s a tragic outcome. When all his teammates were here in the country preparing for the Olympiad, he’s nowhere to be found and was competing in tournaments in the US where he was mostly the top seed. Not the kind of preparation the team needs. They need him to be around. Discuss things, strategies etc. We felt sorry for GM Antonio’s decisions and he owe his teammates, NCFP, and Philippine chess fans an apology. As the saying goes, great power comes great responsibility. And he has some responsibility to be observed. At the same time GM Antonio himself is ready to pursuit legal actions against the federation. Antonio bared his plan and informed GMANews.TV via e-mail, saying the NCFP’s decision to take him out of the team was done without due process and left him with no other recourse but ask the court for intervention. The Philippines men team: GMs Wesley So, John Paul Gomez, Darwin Laylo and Eugene Torre. The women team consists of WFM Camacho, WFM Perena, WFM Cua, Jose Rulp, and J. Docena. 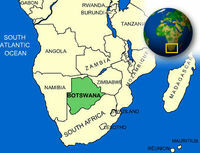 Fresh from the successful Africa Junior Chess Championships, the Botswana Chess Federations (BCF) is now preparing the senior Chess National team for the Chess Olympiads, due to be held in Russia this month. The team, which recently played Zambia in a friendly game, is currently hosting neighbouring South Africa in a bid to fine tune itself ahead of what is known as the Chess Olympics. Speaking to Standard Sport, BCF president, Tshepo Sitale, said everything possible has been done to prepare the team. He, however, admitted that they have not always had their way as most of the senior team players are working in different locations around the country, making it difficult for them to have regular camps. The BCF president says going into the Olympiads, they will be aiming for a category medal. Sitale says due to the high level of competition expected at the Russia Chess Olympiads, it will be difficult for them to say which medal they are aiming for as they will be playing against professional chess players. He further added that they will also be looking to improve the team’s ratings. The Russia Olympiad team is made up of ten players, five men and five women. The men’s team comprises of FIDE Master (FM) Phemelo Khetho, Candidate Master (CM) and reigning national champion Barileng Gaealafshwe, Providence Oatlhotse, Ignatious Njobvu and Thabo Gumpo, while the women’s team comprises of Women Grand Master (WGM) Tuduetso Sabure, Women FIDE Master (WFM) Boikhutso Modongo, Women Candidate Master (WCM) Tshepiso Lopang, Keitumetse Mokgacha and Faith Mbakhwa. Despite the aspirations of senior chess players to climb up the world chess rankings, Sitale says there is no pressure on the team. However, with the solid display by the junior national chess team during the recently ended African Junior Chess Championships, the gauntlet has now been thrown to the senior national team as they head for the Chess Olympiad at the end of this month in Russia. The junior national team, perhaps buoyed by home ground advantage, made the country proud in the championships earning themselves eight medals and a second position overall behind South Africa. This performance was a great improvement from last year’s in Cape Town, South Africa, when they only brought home a single medal, courtesy of Rosa Nthite. Compared to last year’s single silver medal, this time around, the juniors went an extra mile, getting themselves a single gold, three silvers and four bronze medals. Commenting on the junior team, Sitale said the results showed that their commitment to grassroots development is bearing fruit. The BCF chief told Standard Sport that now the onus is on the federation to ensure that most of the youngsters get more international exposure, a task which will be difficult considering the lack of funds. On other issues, Sitale says the BCF intends to capitalize on the successful hosting of the just ended junior championships as a springboard to host other major events. He says hosting the junior championships has firmly put the country on the African map. 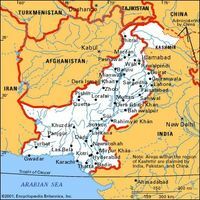 The men and women chess teams of Pakistan will leave for Russia on September 18 to participate in the 39th World Chess Olympiad scheduled to be played at Khanty-Mansiysk, a centre of sporting activity in Khanty-Mansiysk Autonomous Okrug, General Secretary Pakistan Chess Federation Abdus Salim said on Wednesday. “Top five male and female players each from the national championships in Pakistan had been selected for the event on the back of their performances in the domestic event,” he said while talking to APP. Pakistan’s men’s team has been participating in the event for the past several years, while it would be the second appearance for the women. The women chess players made their first appearance in any international chess event in the country’s history when they featured in 38th Chess Olympiad Dresden Germany in 2008. Pakistan’s top rated chess star, Mahmood Ahmed Lodhi will lead the Pakistan squad in the 39th Chess Olympiad. 45-year-old Gujranwala-based Lodhi won the national title for a record 12th time in Islamabad recently. Other members of Pakistan men team included Aamir Karim, Tanvir Gilani, Wasim Akram and Salman Farooqi. The Pakistan women team includes Nida Mishraz, Zenobia Wasif, Ghazala Shabbir, Ayman Shakir and Samman Shakir. NM Carlos Vásquez Horna and GM Henry Urday Cáceres are worried about the common “turistic” practice connected with the Chess Olympiad. “In the delegation there is a person that is not even connected to chess and he will be captain of the women team!,” commented the players for La 1ra. “Nobody in the chess world knows Adrián Eduardo Noriega de la Colina, and he will be heading not just any players, but Ingrid Aliaga, Ann Chumpitaz, Deysi Cori, Luciana Morales and Lucía Orbegozo,” continues Caceres. Henry Urday, ex director of the federation, also notes that he is not happy that unknown people travel to Russia, rather than ones who can actually help the chess team.